The Preschool Teacher is pegged as one of the faster-rising jobs between 2010 and 2020. There is great demand for Preschool teachers which means you need a resume that will keep you ahead of the competition. Our Preschool Teacher resume sample features all the important details you need to impress the school. It is presented in a format that is easy to read and to understand. Preschool teachers carry a very important function. And that is introducing children from the ages of 3 to 5 to the wonderful world of formal education. Preschool teachers set the transition from playtime to kindergarten. Preschool introduces children to the importance of having structure. The Preschool Teacher is tasked to nurture motor skills as well as social skills. To create an environment of warmth, care while using my experience and expertise to help children nurture their natural skills in learning and socializing so they can maximize their talents and abilities. Maintains clean and safe environment for children. Preschool Teachers perform a very important function in that they are responsible for the transition of children aged 3 to 5 to the more structured world of formal school. Preschool is often referred to as “little school”, but it plays a big role in the development of a child’s natural learning abilities. At age 3 to 5, children are still at the stage of discovery. They are beginning to grasp the wonders of the world while at the same time getting in touch with their emotions. Behavioral patterns are starting to develop and manifest themselves in children. A Preschool Teacher must have the ability to identify these behaviors and help children understand the right from the wrong. Thus, your Preschool Teacher resume objective must touch on your ability to develop intellectual intelligence and emotional intelligence. As the Preschool Teacher your responsibilities extend beyond classroom instruction. The values and attitudes that children learn in preschool may determine how they function in their later years moving forward. The Preschool Teacher may work in “little school” and spend his or her day singing and reading stories to toddlers. But the scope and magnitude of the job cannot be over-emphasized. License; many states require their teachers to be licensed to teach. Even if it is not a necessity in your state, having a license puts you ahead of others because it validates you as a professional. Certifications; it will also push your resume on top of the list if you have certifications or units taken for relevant child development courses. This tells the Preschool that you take your job seriously. Graduate Degree; although there are Preschool teachers who took child development courses after high school, highlighting your achievement in College is a big boost to your prospects of landing the job. Your stock will exponentially go higher if you are a graduate of a related course such as Psychology or Education. Certification in First Aid and CPR; children’s curiosity often gets them in trouble. Having knowledge in first aid and CPR will put the fears of preschools to rest. Great at building and fostering relationships among children. Updated in developments in educational best practices. Excellent level of patience when it comes to working with children and dealing with parents. Effective in relaying clear instruction. Effective in extending counseling work to children. Possess creative ability particularly in music and art. Responsible and highly aware of his or her environment. Possesses the requisite analytical skills to identify negative behaviors. Possesses the ability to assess and evaluate child performance. Possesses the ideal disposition to carry out rules, regulations and the appropriate disciplinary actions. Preschools are entrusted by parents to provide care and enlightenment to their children. They are managing the most precious and prized possession of parents. Thus, it is a priority for the Preschool to hire only the most qualified Preschool teachers in their organization. This is why as a Preschool Teacher you must ensure you have all the bases covered. With more and more households becoming dual-income, overseeing their children has become difficult for many parents. Even if one of the parents works part-time, he or she will not be able to manage the intellectual and emotional growth of their children. This is the value of Preschools. In addition to emotional and intellectual growth, children are exposed to their first experience of socializing with other children. This is very important because children are unique individuals with their own personalities. The Preschool Teacher is tasked with the unenviable responsibility of managing these differences so the children can accept and co-exist in the same environment. First off, you have to detail the specific tasks or scope of responsibilities that were asked of you in your previous engagements. Try to be as detailed as possible and use colorful words that are synonymous with working with children at the age of discovery. Words such as “Create”, “Guide”, “Design” and “Conceptualize” are good examples that best describe the job of a Preschool Teacher. Second, highlight tasks that are already associated with Preschool work such as preparing materials, engaging in group activities, introducing children to basic concepts and evaluating performance. Finally, add diversity to the mix. Yes, Preschool teachers have a default list of the usual responsibilities but not all jobs are the same. Indicate work that differentiates one experience from the other. Experience is always a great indicator of a candidate’s capability. But diversity differentiates you from everyone else. You do not have to write in work experiences where you were not paid for such as those done for socio-civic organizations. You can discuss these experiences during the interview and it will give more impact. Our Preschool resume sample provides an effective template to create one that will immediately get you noticed. It puts the qualifications that many preschools need to achieve their goals and protect their interests. 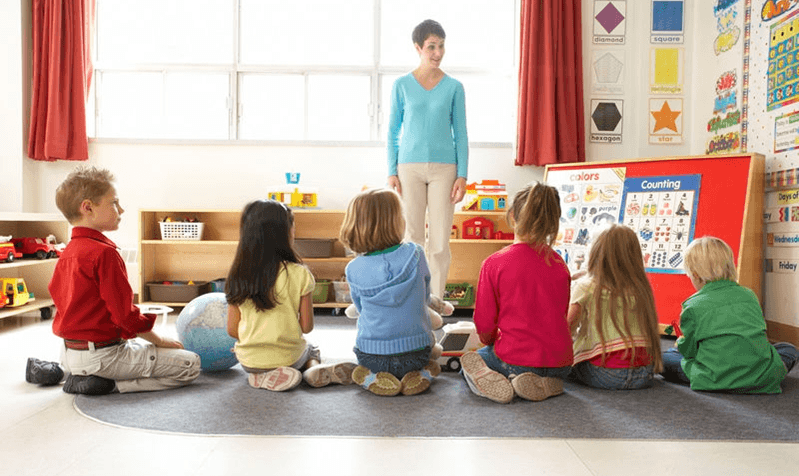 The advice we provide on how to compose your objective, skills, and experience will further strengthen your claim to be the best Preschool Teacher for the job. If this Preschool Teacher resume example wasn’t sufficient for you, you are free to review some other samples and templates from our site. Browse to some related resumes below and find your inspiration.